Monadnock Specialists - The Petersons, Inc. The Monadnock Region is a wonderful mix of rural countryside and urban creativity. Artists and creative people are drawn to Peterborough and surrounding towns for its natural beauty and cultural sophistication. Families are drawn by quality education and a safe environment. The Petersons are involved in and support many local cultural institutions, including Monadnock Music, Andy's Summer Playhouse, the Peterborough Players and the Peterborough fireworks display each 4th of July, sponsored in conjunction with the Peterborough Chamber of Commerce. The area is rich in its legacy of historic buildings and blessed with a wealth of protected land, either as parks or lands under conservation easement. 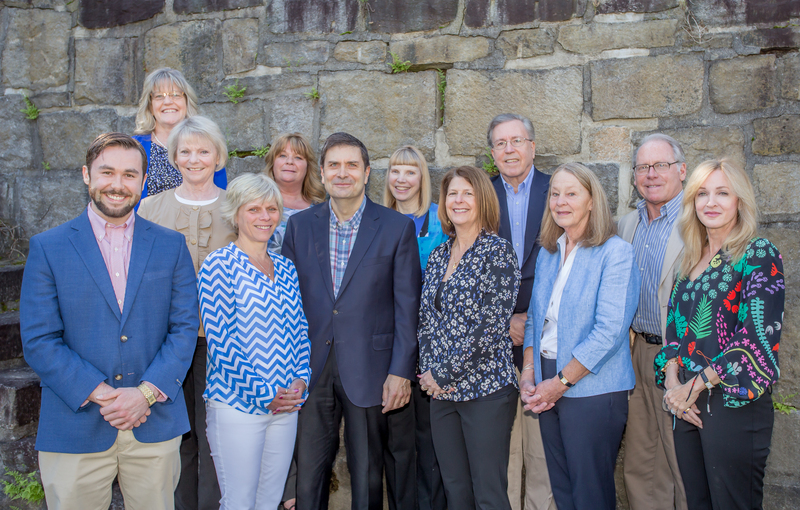 The Petersons has worked with local conservation and historical commissions and societies as well as regional, state, and national trusts and organizations to ensure that the scenic vistas of today can be enjoyed by future generations. The people of The Petersons are deeply familiar with the area and are actively involved in the communities that comprise the Monadnock region. If there is a couple wanting to buy a larger house with a porch situated near the elementary school, chances are, one or two of the agents at The Petersons will know it first - because the couple are their neighbors. We are woven into the fabric of this community because we care about it. We work very hard to place people in the homes they love, and to place your home in the hands of the people who will love it when you are ready to sell. Whether you are considering relocating to the Monadnock Region and searching for a home, or have a home in the area that you want to sell, consult with The Petersons, the experts on this region. We have the knowledge and the experience in real estate sales, and of the area and its properties, as well as knowing the people who live and thrive here. Successfully matching people with real estate is more than our business - it is our personal contribution to this corner of the map that we love.